Obituary – Andrews, Esther Ida (Christensen) « Perry High School Alumni Association, Inc.
﻿- would like to be a nurse. She is one of the few girls among the 81 grads this year that has signified an intention of following the medical profession. She likes to swim, hike and fish. Esther is the daughter of Mr. and Mrs. Neal Christensen of near Perry. She was in the senior play this year. A native of Colorado, she was born in 1921 at Campo. She has attended Pleasant Hill, Freemont and Perry schools. 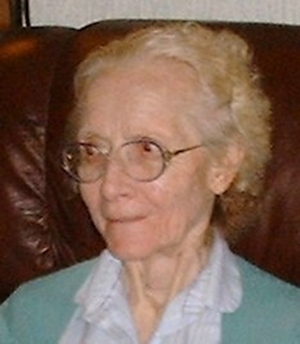 Esther Ida Christensen Andrews, 88, passed this life on December 24, 2009. Esther was born May 6, 1921 to Neal Robert Christensen and Ida Louise Reschke Christensen in a dugout near Campo, CO.
At a young age Esther’s family moved to a farm outside Perry, OK. Esther graduated from Perry High School in 1939 and went on to attend nursing school. On May 9, 1944 Esther married Leoan Theadore Andy Andrews in Perry, OK. Through the years, Esther worked with L. T. on construction projects and on several golf courses. In 1980 Esther and L.T. moved to Stillwater, OK. After L.T.’s passing, also on December 24th in 1982, Esther continued babysitting for many years and helped many student and working families raise and care for their preschool children. Many of these children and their parents stayed in touch with Esther over the years. An active member of Hillcrest Baptist Church while in Stillwater, Esther maintained life friendships with many families after moving to Smithville, TX to live with her daughter in 2008. She was a member of Timberline Fellowship of Paige, TX after moving to Texas. What made Esther such an endearing person was her firm and steadfast faith in Jesus Christ that touched everyone she knew. 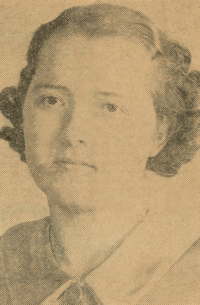 Esther is survived by 5 children and 3 step children, 3 sons-in-law, 4 daughters-in-law: Marie Grienkiewitz, Riverton, NJ; Alan Beasley, Cleburne, TX; Leona Taylor, Delhi, CA; John and Pat Andrews, Stillwater, OK; Caroyl Janie and Emmett Maliniemi, Smithville, TX; Larry Jane Andrews, Sierra Vista, AZ; Joyce and Bill Getz, Blair, OK; Robert and Mildred Andrews; Perkins, OK; and David and Connie Andrews, Richland, WA; 40 grandchildren, 57 great grandchildren and 21 great, great grandchildren, and many other relatives and friends. Preceding her in death were her husband; 2 daughters; 3 sons-in-law; 9 grandchildren; 1 great grandchild; and 1 great, great grandchild. Services will be held at Hillcrest Baptist Church, Stillwater, OK, January 2, 2010 at 10:00 a.m. with Pastor John Dickey officiating. A private family interment will be in Grace Hill Cemetery, Perry, OK beside her husband and parents. Services are under the direction of Brown-Dugger Funeral Home in Perry, Oklahoma. Memorials should go to charity such as: World Vision, Feed the Children, or Dave Roevers in care of Brown-Dugger Funeral Home, 1010 N. 7th Street, Perry, Oklahoma 73077.